I’m pretty sure that everyone likes Porsche 996TT but nowadays there are a lot of cars like this one and it’s pretty hard to stand out from the pack. 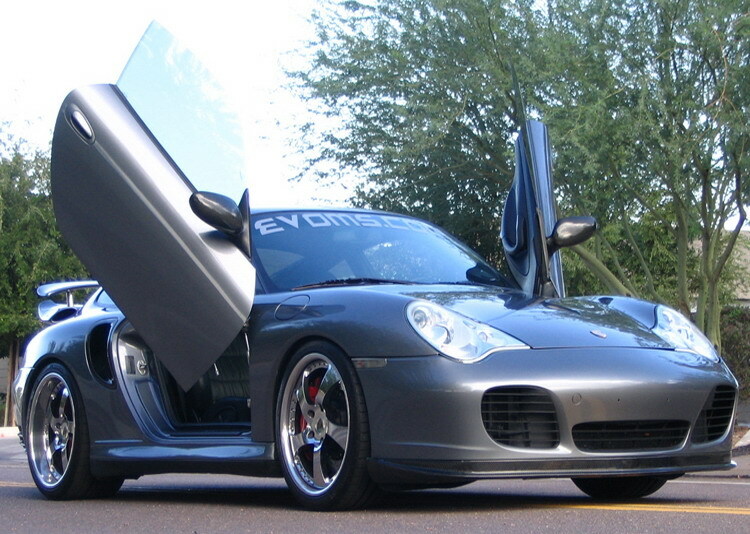 So, Evolution MotorSports have decided to change this, by tuning a 2002 Porsche 996TT. Probably the best modification they’ve made, the one that really improves car’s look and it would attract a lot of views is the gullwing door conversion. This means new, lamborghini doors, for the car. With a new engine package, new suspension system and better engine cooling, the car’s performances were also improved a lot. The body kit had small adjustments too, by adding several carbon fiber elements to the front and rear bumper and side mirrors.